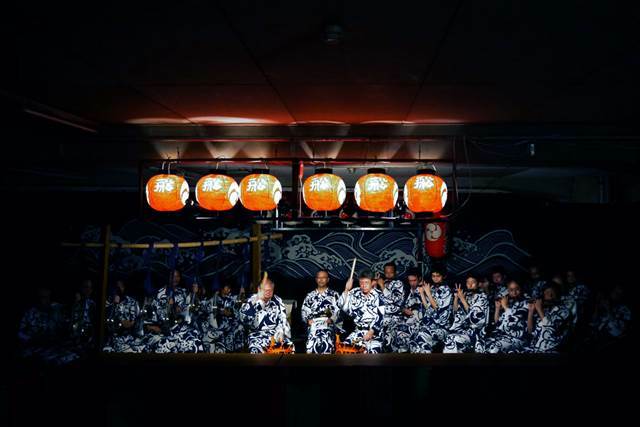 [YOUTUBE] Gion Matsuri Festival – The Best Summer Tradition in Kyoto. What is Gion Matsuri Festival? 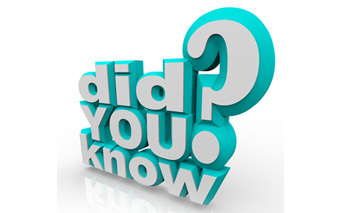 There are more than 100,000 festivals held in Japan every year. While most of them are small local events, a few are truly breathtaking. Gion Matsuri festival in Kyoto is definitely one of the latter. 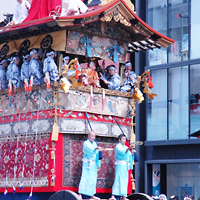 It is listed as “The three largest festivals of Kyoto”, “The three great festivals of Japan”, and “The three major parade-float festivals of Japan”. Gion Matsuri festival is the best summer tradition in Kyoto, and is held throughout July with many fascinating sub-events. 1. More than a Thousand Years of History and Tradition. 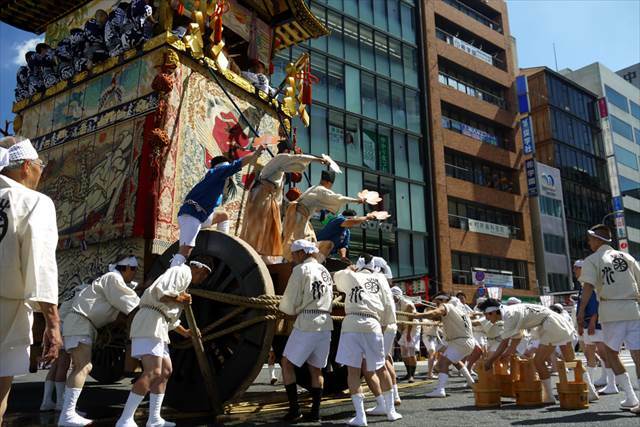 The origin of Gion Matsuri festival dates back nine centuries. 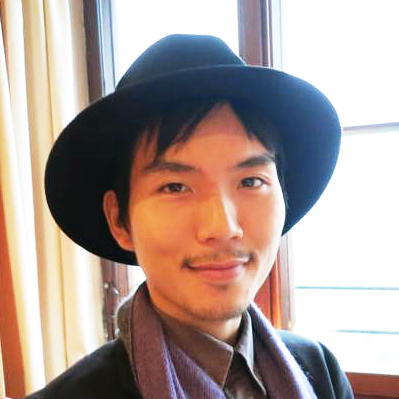 Back then, the old Kyoto city was suffering from a serious contagious plague. 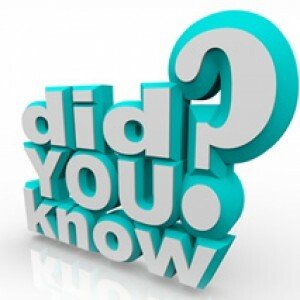 In 869, a government official Urabe Hiramaro made 66 pikes, same numbers of provinces in that period of Japan, for the purpose of cleansing each province’s impurity. 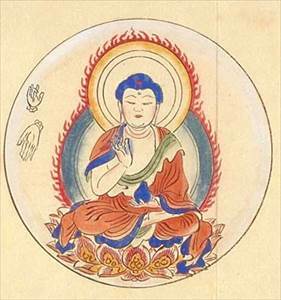 He also made a portable shrine that enshrined Gozu-Tenno(the embodiment of Bhaisajya-guru), then operated a ceremony to appease evil gods and the spirits of the dead. 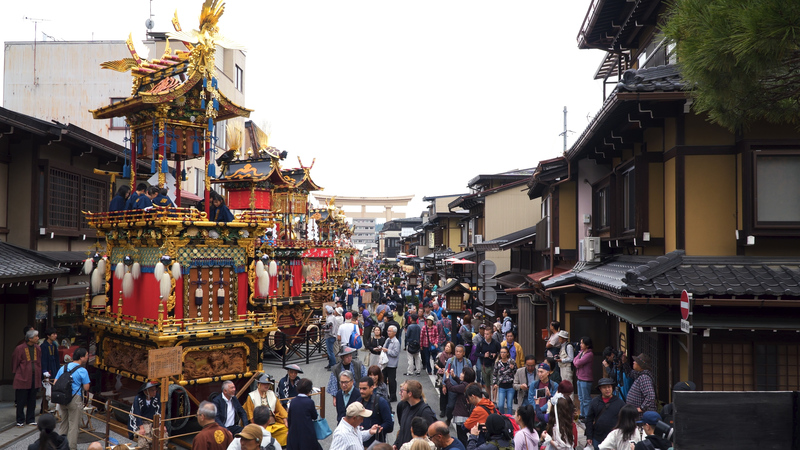 Ever since, Gion Matsuri festival has been held every year for more than a thousand years. One of the many things that livens up the festival is Yamahoko. 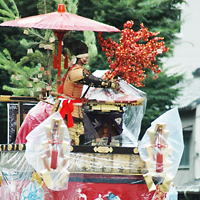 Yamahoko is a parade float with sumptuous decorations of a hut, pikes, and pole weapons. Many types of Yamahoko will be built during the festival, and the biggest one weighs more than 12 tons. All Yamahoko will be assembled without even a single nail, only with ropes. The highlight of Gion Matsuri festival is Yamahoko-Junko patrol. Every year on 17th of July at 9 am, the patrol starts from Shijo street, pass through Kawaramachi street, heads to Shinmachi-Oike. 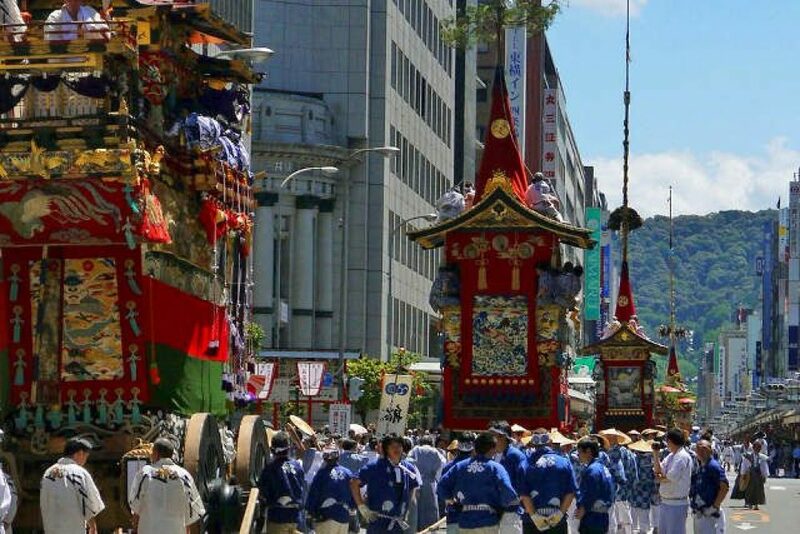 With the lead of Naginata-hoko (pole weapon float), 23 Yamahoko will be parading through the streets with traditional musical accompaniments.The sight is almost like a historical picture scroll of Japan. 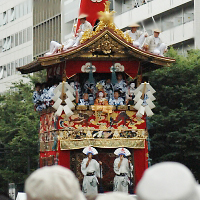 Yamahoko-Junko is listed as UNESCO Intangible cultural heritage. 4. Yoiyama, the night before the patrol. The night before the Yamahoko-Junko is called Yoiyama, which builds up the enthusiasm of the festival. 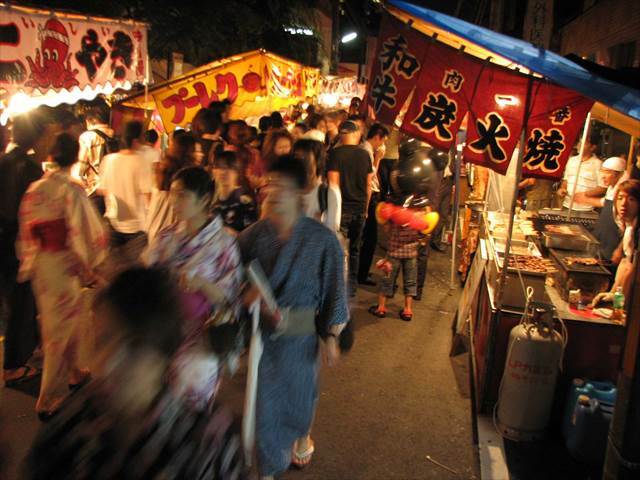 On Yoiyama day, Kyoto city will be filled with people wearing Yukata, Japanese traditional summer-clothes. 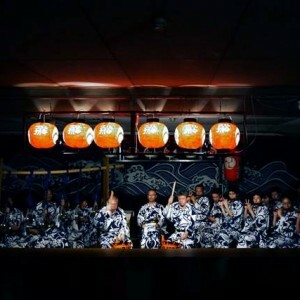 You can enjoy a variety of sub-events: such as observing the Yamahoko closely, watching traditional performance art at Yasaka shrine and enjoying numerous night booths on the side of streets. Gion Matsuri festival is one of the most prominent festivals in Japan and the symbol of July in Kyoto. The excitement increases as it gets close to Yoiyama day, then it explodes on Yamahoko-Junko day. 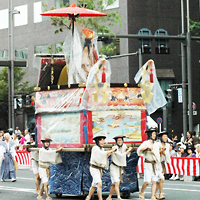 Many Yamahoko floats turn the city into a mobile historical museum. In Japan, there is a proverb “Ato no Matsuri (After the festival)”, which is used when one missed the greatest opportunity. Did you know this proverb comes from Gion Matsuri festival? 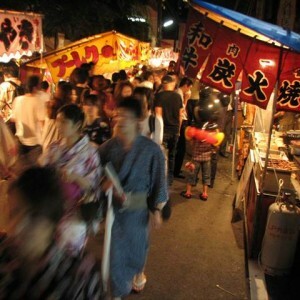 Even though Gion Matsuri festival continues till the end of July, the excitement diminishes after Yamahoko-Junko on 17th. The Proverb is originated from the expression of people missing the main event after 17th.